Wow, over a month since my last post. . . . My creative mojo is not visiting very often recently. With all that's going on in my life, I'm almost ready to close down my blog and call it a day, but then some inspiration unexpectedly strikes and I create something I want to share, so don't give up on me yet! Today, I was sorting through a box of papers and found the gift list from my son's Angry Birds birthday party. I had already scrapped the party (see the layout here) but wanted to add the gift list somehow, so I used a sketch from Sketches in Time Project Life Style to make a journaling card to add to the photo pocket page. The list continues on the back so I added a pull tab to one side of the card. The piggy was freehanded and pieced together- very old-school style! And here's the card on my pocket page. Cheryl-God us using you mightily in my life as the source of the greatest scrapbook inspiration on the internet for me!!! Please don't give up! Your sketches are the ones I use most as I slowing scrap a family trip from 2010 - the only scrapbooking I have done. 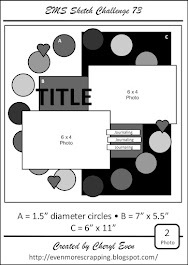 Layouts with lots of photos and a common sense amount of embellishments are difficult to find and yours are just that! As I seek to honor the Lord by scrapbooking the trip He gave us, thank you so much for continuing to blog and encourage me in that journey!! Thank you! Thank you! Oh my goodness, such cuteness!! LOVE LOVE LOVE your card!!! I hope you don't shut down the blog, I enjoy it! Take care and Merry Christmas! 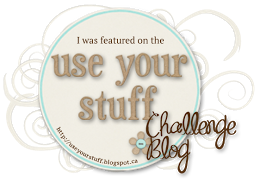 Thanks for playing along with us this month at Sketches in Thyme Project Life style!